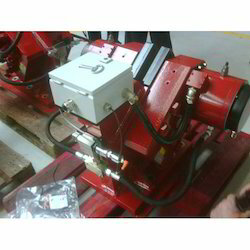 Industrial Brake Systems for Steel Plant, Mining, Ports, Yards. 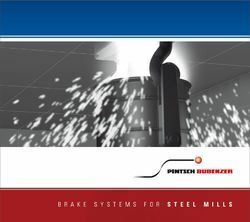 Complete Brake Systems for Steel Plants. Brakes for Rolling Mill Applications. Brakes for Ambient Temperature, 80, 120, and Higher Temperature in Celsius. Brakes for Down hill Conveyor. From 100 Nm to 500,000Nm or 500 kNm. Worlds Leading and Largest Brake Maker. 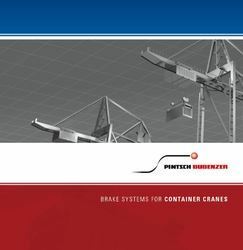 Complete Industrial Brake Systems for STS Cranes, ELL Cranes, Port Cranes, Mobile Harbour Cranes. Emergency SOS System for All Cranes. Brakes for Large Ships, Navy Ships, and Ship Yards. We are the leading manufacturers of Electro Hydraulic Thruster Drum Brakes that find their application in all industries. In combination with modern drum and disc brakes they ensure safe and gentle braking. All brakes are constructed using GGG40 stainless steel. They are highly regarded for their dimensional accuracy and excellent functioning. 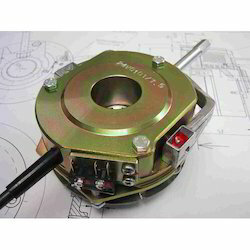 The DC Magnet Brakes for Brake Motors we manufacture are one of the best available in the market. These products have a high capacity. They have a spring applied safety break and are very safe to use. It has a screw for manual lifting. These products are highly durable and efficient in nature. Easy to maintain these products are very user friendly. These are mainly used in gantry, trolley, electrical devices for ships. To provide optimum quality to our clients we manufacture our product using high quality raw materials and further send them for a number of quality checks. The Flexible and Geared Couplings we manufacture and export are made from high quality raw materials and go through a number of quality checks in order to provide the customers quality goods. These Flexible and Geared Couplings have steel coupling with special formed teeth. These couplings are highly durable and can bear really high temperatures. The break disc can be easily replacing d without altering or adjusting any equipment. These discs are designed to work in any rigid condition. Easy to maintain these products are highly reliable. 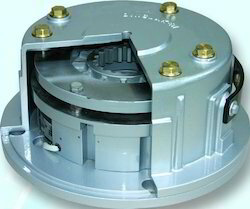 The DC Electro Magnetic Brake Series manufactured by us are one of the best options as breaks for small motors. The body of this magnetic break is made of solid steel and as a result is highly strong and durable. These breaks are easy to maintain and efficient. 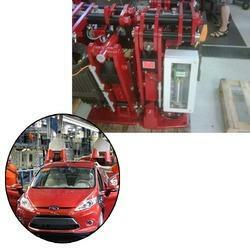 They are mainly used in battery operated vehicles like golf carts and on pallet machines. We being one of the market leaders consider quality to be our priority, thus the materials we use in the manufacturing of these products are of high grade and further we send our products for a number of quality checks as we want our clients to have optimum satisfaction. Produced using high quality raw materials, the Brake Systems for Steel Plants we manufacture are highly demanded in the market. These break systems are made of stainless steel and are durable and heat resistant. 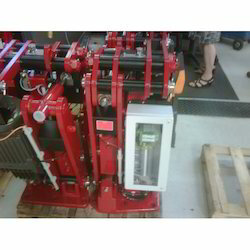 They have adjustable, enclosed break spring and are very efficient and maintenance free. To ensure the quality of our products we send them for a number of quality checks. We provide these brake system in the market at a highly reasonable price. 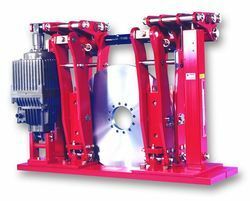 The Brake Systems for Mining Applications and Coal Handling we manufacture has a very compact design. It is manufactured using stainless steel to provide durability. These break systems have an adjustable, enclosed break spring for higher performance. For the purpose of providing friction free speed it has sintered linings. These are manufactured using high quality raw materials and further go through a series of quality checks to maintain the quality we promise to provide. These break systems are very efficient and are very easy to maintain. With high working capacity the Brake Systems for Ship Building and Ship Yards is one of the best products of its kind available in the market. These break systems are spring applied safety breaks. It functions without cover and has screw for manual lifting. These break systems are easy to operate, highly durable and are very safe to use. Manufactured using high quality raw materials and processing them through a number of quality checks, we provide quality goods at a very reasonable price. 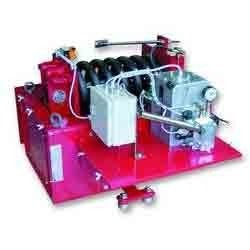 We offer an extensive range of Snag Over Load System. The mechanical SOS system is claimed to be faster than any hydraulic system, thus protecting cranes from overloads in snag situations. 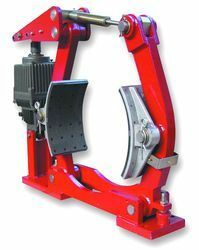 It has proved to be the best for use in large port and steel plant cranes for emergency braking. Brake Systems for Minning Applications and Coal Handling. 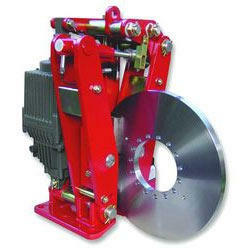 We are leading manufacturers of Electro Hydraulic Thruster Disc Brakes. These are predominantly installed in heavy lifting equipments and conveyed equipments all over the world. They enable safe and gentle braking. They have been manufactured as per the prevailing standards and have a long shelf life. They are dimensionally accurate. We are engaged in manufacturing an extensive range of DC Magnet Disc Brakes that find their application in various industries. The Disc Brakes offered by us are made with the help of sophisticated machines and quality raw material. The high class SB 17 MX, with a heavy duty magnet, sintered liners, and inbuilt rectifiers is highly suitable for prolonged travel. DC Magnet Disc Brakes are highly durable and have an excellent finish. We are prominent manufacturers of Emergency Hydraulic Brakes that are widely acknowledged in the industry. Hydraulic line pressure keeps the breaks secure. It is strictly not recommended for use with silicon brake fluid or as an emergency brake. This device is generally used for locking the rear brake. These brakes are used in applications like cable drums and conveyors. 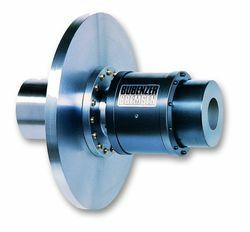 We offer an extensive range of Buffers for Crane and Industrial Applications. 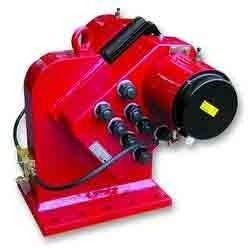 Hydraulic oil and nitrogen gas buffers with chrome plated spindles have been designed for all cranes. It is essential the cranes are protected from damage. 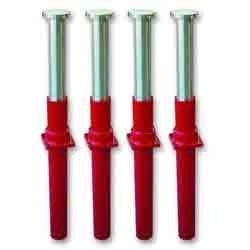 Gantrail offers buffers for cranes of supreme quality. The advanced range made available by Pintsch C is high performing. We are leading manufacturers of Rail Clamps, storm Brakes and Rail Brakes. These products have a long shelf life and can function well even when subjected to harsh conditions. They are acknowledged for their high quality and excellent functionality. These are highly resistant to wear. They have been manufactured using standard quality materials and have been tested on several quality parameters. We manufacture an extensive range of Break System for Port Cranes. 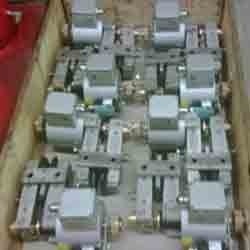 These are industrial brake systems that can be used for LV, MV, HT motors. Pintsch Bubenzer has worked very closely with port operators to come up with this flawless range. 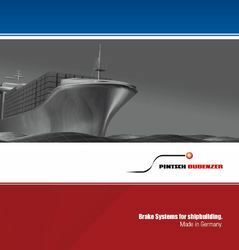 Pintsch Bubenzer has 85% global market share in STS cranes, RMQC cranes and RTG cranes. We are the producers of the Brake and Crane Monitoring System that are highly reliable and durable. The monitoring system monitors and sets each and every break. This system also used to monitor the temperature, pressure and speed of the VSR and CMB system. These monsters are highly user friendly. These systems are manufactured using high quality raw materials and are highly efficient. Quality of our products is never compromised, as we send them for a number of quality checks for the optimum satisfaction to the customers. Easy to maintain these monitoring systems are highly in demand. 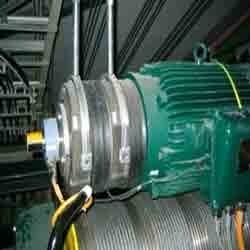 The DC Electro Magnet Brake we manufacture and export are very easy to install and maintain. These products have a fast responding time. They perform the operations as soon as the command is received. These products are highly durable and can tolerate heat to a certain extent. These products are very user friendly. It finds its application in wrapping system, packing machines, textile machinery etc. the production of these magnet breaks are done using high quality raw materials to provide the customers satisfaction. 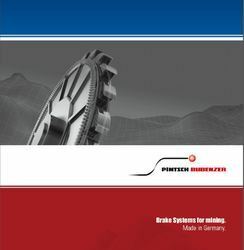 Looking for Industrial Brake Systems for Steel Plant, Mining, Ports, Yards ?